This PDF 1.5 document has been generated by Microsoft® Office Word 2007, and has been sent on pdf-archive.com on 30/08/2016 at 10:22, from IP address 94.190.x.x. The current document download page has been viewed 153 times. are a few tips for making it happen. smartphone and activate the scene. 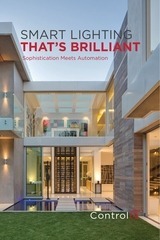 Your home automation system will take over from there. enhance the experience of your game. It's all very technological and awesome. the ultimate gaming audio that makes you feel like you are in the center of the action. system switched to surround sound. activating the gaming scene on your smartphone. Creating an immersive gaming experience with home automation may seem a bit out of reach for technology novices. experimenting with different devices to see if they can make it work. This file has been shared by a user of PDF Archive. Document ID: 00478227.